Information just for farmers and for our mill customers; services and products we offer, pricing and tips on starting and growing your own coffee. We also offer private labeling for farmers or independent sellers. Ask us about pricing for label design and label costs. We want to help you succeed and our prices show our committment. 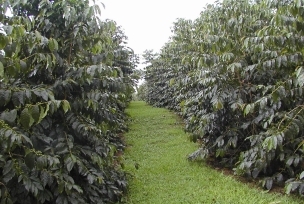 Pictured above... Arabica Typica Coffee Trees produce the best coffee. CTAHR (College of Tropical Agriculture and Human Resources) recommeds this variety for quality in the cup. Don't settle for lesser quality. We don't. 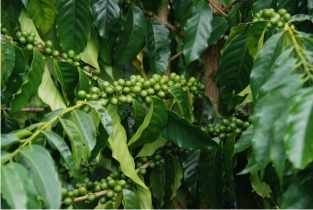 Typica coffee tree full of cherries about to turn red. We offer the following for our farmers and resellers. A great gift. Hang it on your wall!